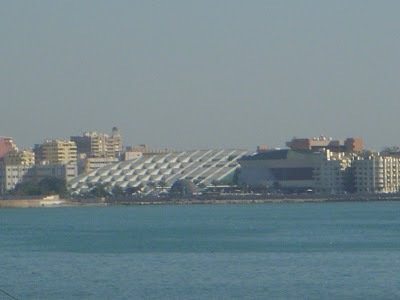 The above and below picture is of the library in Alex. 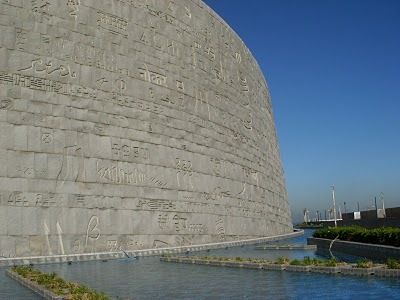 This Library might be the largest in the world. A grand place I must say, not to be missed when visiting Alex. I have been having a real good time here. Everyone is friendly; really the prices for everything are less expensive compared to Siwa and Cairo. Although I am heading back Cairo tomorrow. I will be in Cairo all next week. I guess there is a Muslim holiday next week, kind of a big feast from what I have heard. From Tuesday through Friday. I hope the sites and stores are open next week. Everyone is accepting my student card. Seeing the sites are half price with a student card. Don’t leave home without it. 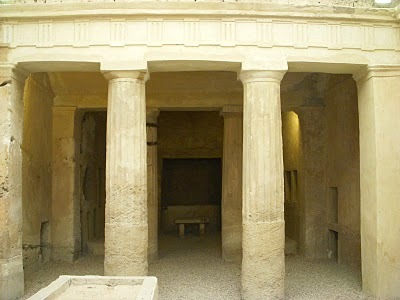 These two pictures are of this necropolis call the Mustafa Kamal Necropolis. The directions of the Lonely Planet were all messed up. Although it was kind of fun walking through all these neighborhoods, plus taking the tram. The tram is not to bad by the way to get around, cheap transportation, only a quarter pound. Keep in mind that $1 pays 5.5 pounds. So a quarter pound is nothing. 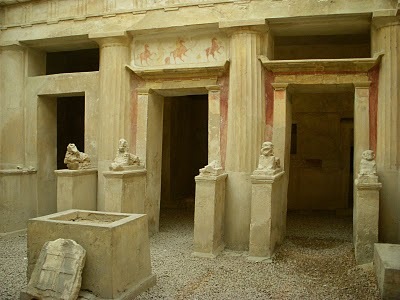 These two tombs date back to the 4th century B.C.E. just getting warmed up for the Valley of the Kings for when I get to Luxor. 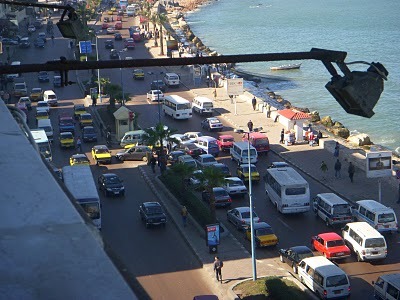 Here is your common traffic jam in Alex. In the above picture do you notice everyone taking the left. They are trying to form three lanes which clogs the thoroughfare. All the taxis in each town are color coded. 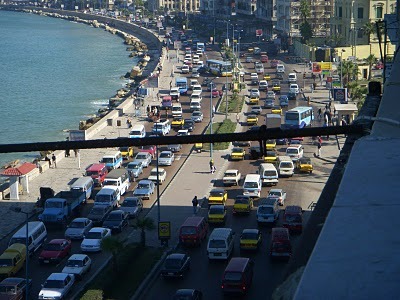 Black and yellow for Alex, black and white for Cairo, white and light blue for Marsa Matruh. Each town has there own colored taxi. Next post: Tanta Waa Cafe – Siwa. Previous post: People of Siwa.